Brookfield, WS, Apr 18 – Auckland’s small tramway loop in the city’s Wynyard Quarter has passed an inspection by Premier Daniel Anderson today. 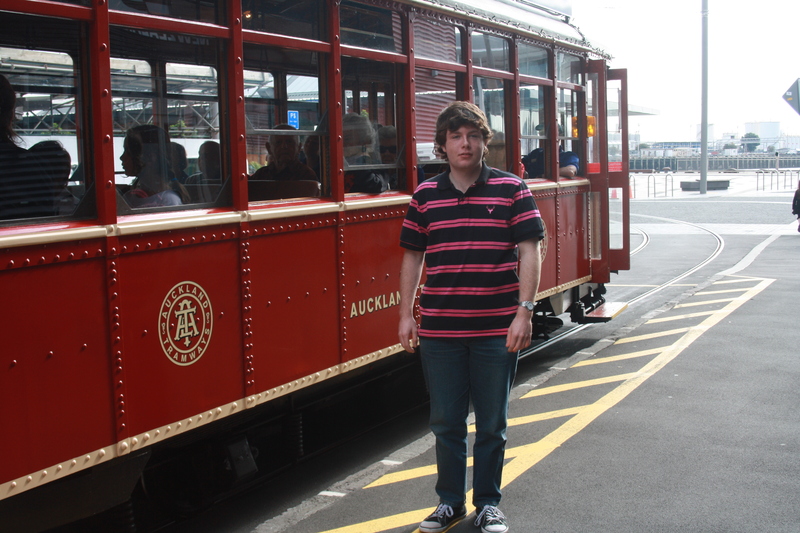 Anderson made the trip from Brookfield to the Wynyard Quarter, just west of the city centre, this morning especially to catch the tram. The tram was unfortunately twenty minutes late in arriving at the Halsey Street stop, but once on the Premier saw to it that the tram itself, of Melbourne and Bendigo vintage, was well documented. After a trip around the circuit (which included doubling back on a branch to allow members of an Auckland retirement home), the Premier disembarked the tram and had his picture taken. Anderson later said that the tramway, while still in its infancy, gained his approval and was off to a good start. He also added that he hoped the line would extend further into Auckland in the future. Anderson is considered the community’s leading man on tramspotting.